Danyelle from Pennsylvania knitted hats for preemie babies for her Bat Mitzvah Project! 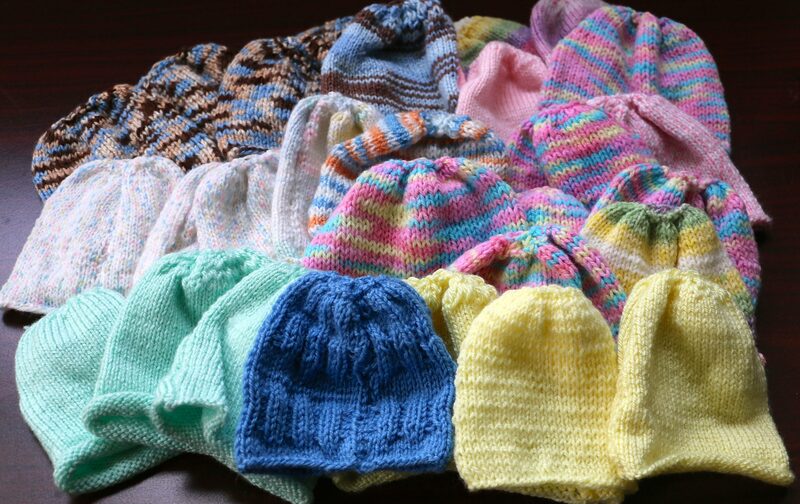 She knitted and sent us all of these wonderful hats to be included in our next NICU shipment. We look forward to what is next for Danyelle. My name is Danyelle and I am 14 years old. For my Bat Mitzvah Project, my grandmother, my mom and I are knitting hats for premature babies. I am doing this because the Torah portion is about giving gifts to the first temple. I wanted to give gifts to children in need. Here is 1 bag of hats we knitted. I began this project before my Bat Mitzvah. I wanted to continue this project even after my Bat Mitzvah because there will always be babies who need this gift that was stitched with love. We are really amazed by Danyelle dedicating herself to giving back and making a difference in this world. Continue with your good works – charity touches lives and spreads love & hope throughout the world. We are very grateful and so impressed, Danyelle, and would love to see your next creations! The future is bright because of young people like Danyelle! Thank you, Danyelle, Mom and Grandma!